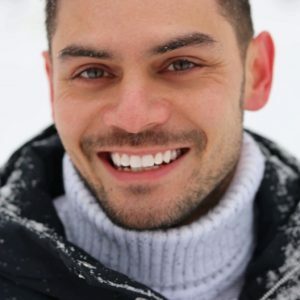 Traditional treatment of most autoimmune conditions relies entirely on medication. Graves’ disease has been no exception to that rule. But recent research indicates eating patterns can and do influence treatment outcomes. 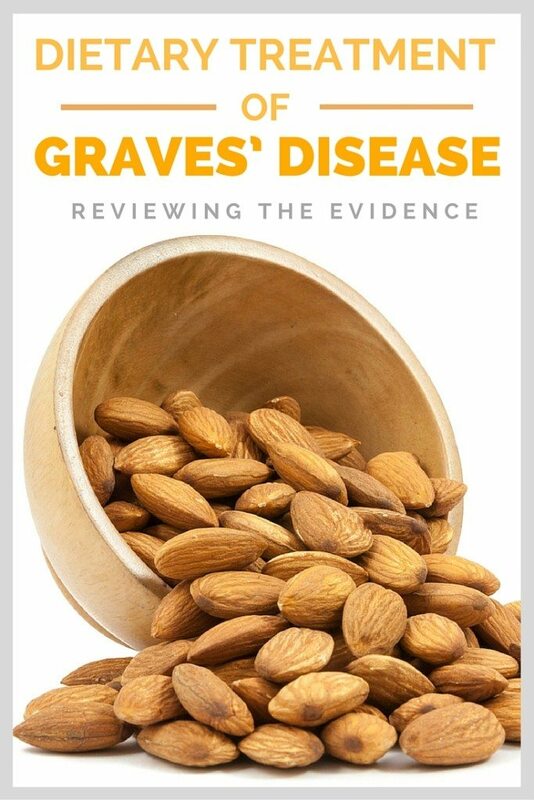 This article looks at the best dietary treatment for Graves’ disease, as shown by current scientific evidence. Is Graves’ Disease Curable Then? Graves’ disease is an autoimmune disease characterised by an overactive thyroid. This is known medically as hyperthyroidism, not to be confused with hypothyroidism (such as Hashimoto’s disease). It was discovered by Dr. Robert Graves in 1835, and has become the most common cause of hyperthyroidism in the developed world (1). A Graves’ disease patient has a thyroid that produces too much thyroid hormone. 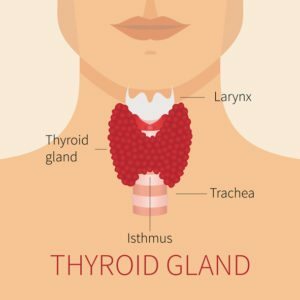 It’s caused by unique antibodies called Thyroid Stimulating Immunoglobulins (TSIs), which “mimic” the function of hormones that stimulate thyroid production. The underlying cause is unknown, but it’s suspected there is a large genetic component at play. Known triggers include infection, stressful life events, high iodine exposure and recent childbirth (2, 3). 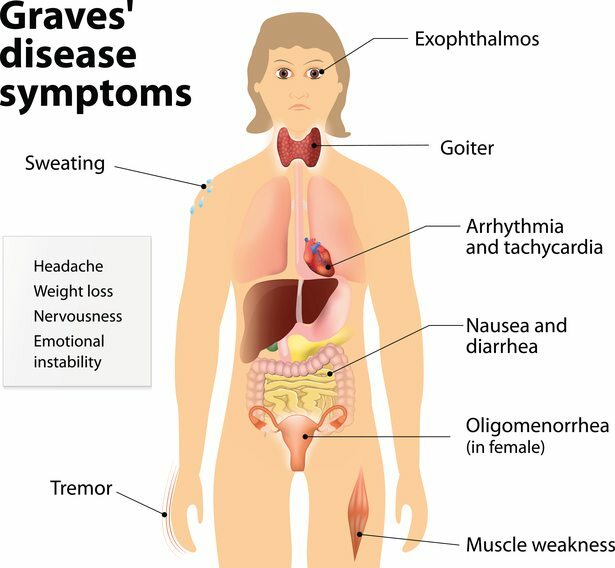 Summary: Graves’ disease is an autoimmune disease that overstimulates the thyroid, known as hyperthyroidism. Graves’ disease symptoms usually occur quickly. Summary: Common symptoms of Graves’ disease are related to an excessively high metabolic rate. Despite the powerful effects of diet on health, medical treatment is almost always required for thyroid problems. Anti-thyroid drugs inhibit the body’s ability to create thyroid hormones (5). The two common types used methimazole (MMI) and propylthiouracil (PTU). Radioactive iodine treatment (RAI) is usually the choice after an unsuccessful course of anti-thyroid medication. It works by damaging or destroying thyroid cells, without irradiating any other cells in the body. However, 80% of RAI treated individuals end up with hypothyroidism (underactive thyroid) and 10% require additional treatments (6). Surgery is effective, but risky. It’s usually the last treatment choice and only used on patients who have an extremely enlarged thyroid, or are not suitable for other treatments, such as children. In fact, surgical removal of the thyroid may be a better choice than RAI for children who fail on anti-thyroid drugs (7). Summary: Diet is important, but anti-thyroid drugs are the first line of treatment. RAI and surgery are options if the medication is ineffective. Unlike Hashimoto’s disease, diet advice for Graves’ disease is not a common talking point. Ideally the aim is to develop an eating pattern that helps prevent nutrient-related risk factors of Graves’. The main (somewhat preventable) risk factor is bone mineral loss, best known as osteoporosis (4, 8). The essential nutrients for optimal bone health include magnesium, calcium and vitamin D.
Magnesium is an essential mineral involved in hundreds of bodily processes. Studies consistently find low magnesium levels are strongly linked with bone mineral imbalances and increased risk of osteoporosis (9, 10, 11). Considering approximately 68% of US adults do not consume enough magnesium – with 1 in 5 consuming less than half of the recommendations – it should be emphasised more when giving diet advice (12). Fatty fish like mackerel and tuna. Magnesium supplementation is certainly a great option if you are deficient in magnesium. However, excess magnesium can also be harmful, which is why whole food sources are recommended first (13). Calcium is important for bone health, especially as we grow older (14). However, many experts are not sold on the reported benefits of high dairy consumption. And there are numerous ethnic groups with low osteoporosis rates that consume very little dairy, particularly in Asia and Africa (15). This suggests dietary calcium may not be as important as first thought, which is actually why magnesium is listed first. Overall moderate dairy intake is safe (and potentially helpful), coupled with regular consumption of leafy vegetables and nuts. Calcium supplements are also inconsistently linked with beneficial outcomes, but could be a harmless precaution for Graves’ disease patients (16). As always, speak with your doctor first. There is no doubt an increase in vitamin D is beneficial for bone health (14). The best source is actually regular sunlight exposure. Fatty fish like salmon, tuna and mackerel are good food sources, but far less useful. In fact, vitamin D is one of the rare exceptions where supplementation is more effective than whole foods sources. Especially in those who are deficient, which is a whopping 42% of Americans (17). If more time in the sun and more fatty fish is not an option, vitamin D supplementation is strongly recommended after speaking with your doctor. A combination of calcium and vitamin D supplementation is linked to the best outcomes (18). Summary: Dietary recommendations for Graves’ disease should focus on preventing osteoporosis. That means foods rich in magnesium, calcium and vitamin D. Supplements are also beneficial if the patient has a deficiency. The recommendations here are largely based on medical case-studies and observations. That means we can form theories or opinions, but nothing should be considered “proven”. Iodine is a mineral required by the thyroid to produce thyroid hormones. A deficiency in the diet can cause hypothyroidism, and it seems excess can cause or contribute to hyperthyroidism. 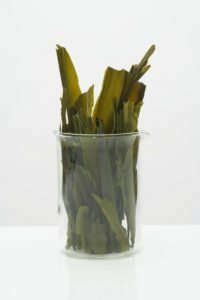 There was the case of a woman drinking large amounts of kelp (seaweed) tea each day for 4 weeks under the guidance of a Chinese alternative practitioner. This raised her iodine intake between 3.8 to 6.6 times the recommended daily allowance of 150 μg (19). She presented to hospital with excessive thyroid hormone levels and multinodular goitre. Another case-study documented a woman who developed hyperthyroidism shortly after following a high-kelp diet. She had no previous known thyroid issues, which suggests the high iodine intake was a direct cause (20). Note that iodine-rich food is only an issue when eaten in unusually large quantities, consistently. Kelp, kelp tea, and iodine supplements are the dangers, so you should always speak with your doctor first. Regular consumption of seafood or sushi should not be an issue. Research shows a link between gluten intolerance (and celiac disease) and antibodies that harm the thyroid. This could have implications for both hypo- and hyperthyroidism. There have been two documented case-studies of women who were not responding to Graves’ disease medications. In both instances the women were later diagnosed with celiac disease (21, 22). Interestingly, once going gluten-free they began responding to the Graves’ medications. Studies actually show that a Graves’ disease patient has an increased risk of celiac disease. In fact, that risk could be up to 4.5 times greater than a healthy person (23, 24). So there is definitely some sort of connection between autoimmune disease, gluten ingestion and antibodies that harm the thyroid gland. Screening for celiac disease is fundamental if you have Graves’, and a gluten-free diet could very well be critical. 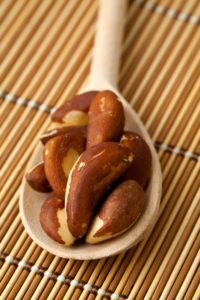 Some speculate that soy and goitrogenic foods can stimulate a potentially harmful immune response on the thyroid. However this is theoretical, and studies suggest it’s probably not true (25). Additionally, they’d more likely be a problem for hypothyroidism rather than hyperthyroidism. As with everything we eat and drink, it’s the dose that makes the poison. It’s very likely that normal amounts are safe. For example, if you eat some tempeh or broccoli at dinner. That said, unnaturally concentrated sources could theoretically be a problem if you eat them every day in large amounts. Large quantities of soy milk or soy sauce comes to mind. Summary: Excessive iodine consumption can be harmful, so iodine supplements (including kelp) are not recommended. Gluten may be a problem as the risk of celiac disease is far greater in Graves’ patients. Soy and goitrogenic foods are very likely safe. Graves’ disease is not curable, but very treatable. About 50% of patients go into remission, with no recurrence of symptoms after that. This is best achieved with medical treatment and an appropriate, sustainable diet. That includes foods high in magnesium, low in iodine, and maybe even gluten-free. Other important factors to consider include regular exercise for bone and muscle strength, and reducing chronic stress. VERY GOOD i WISH DOCTORS WERE TOLD THESE FACTS! MY DOCTOR LAUGHED AT ME WHEN I TOLD HIM I WAS GOING GLEUTEN FREE TO HELP MY GRAVES! Find another Dr! I had the same experience, but I told them my ankles were swelling and something is wrong. My Dr (then) told me to go on a diet! I now have Graves eye disease along with Graves. Don’t worry. The facts are starting to get through that will stop that doctor laughing. I believe you. Doctors are doctors in medicine, not necessarily doctors in health…. HI! This is very helpful but my question is I do have Grave’s disease for almost a year now but Im noticing that it is slowly becoming Hashimoto’s Disease and all the symptoms are changing. I was diagnosed with Graves’ back in 2008/09, tried both anti-thyroid drugs but both made me extremely sick, ended up having my RAI in March 2009 and am now hypo. Before my diagnosis, I had issues with all things gluten, I had even been tested for celiac and it was determined I may just have an intolerance to yeast and/or gluten but at the time we couldn’t figure it out. I wish I had read this article way back then because now it connects the dots for me about the intolerance to glutens, now its just to re-vamp my diet to start taking gluten out. this is very helpful but also educate yourselves on the and the immune system as graves fall into th1 dominant and certain supplements trigger that side and others like green tea brings it to the middle I’ve tried this and found having green tea helps a hell of a lot for my thyroid and brings it to the middle thank goodness and makes me feel better. Yes, green tea is the one thing that really makes me feel better with grave’s. It contains a polyphenol that helps prevent the immune system from attacking its own cells; very beneficial for someone suffering from an autoimmune disease. These are my results. I take synthroid .75mg but feel not =very good. Do I have hyper or Hypo??? Hi Anna, Please ask your doctor as I cannot give medical advice online. Thanks ! I had a cat years ago that had hyperthyroidism and now I think I have another cat that has it too. I’m going to get her tested cause her fur is coming out a lot and she’s underweight also and is a maniac over her absolute love for butter! My suspicions are deepening! Years ago I had read an article that mentioned that cats can have their thyroid gland messed up by Radiation. I live on the West coast of Canada and we had I’m sure some exposure to the Fukushima Nuclear blow up wafting over to the pacific coast of Canada. I have also wondered how much of our Salmon has been exposed to radioactivity (?) But I think any radioactivity would SLOW a thyroid gland down rather than speeding it up, but I’m not completely sure of that. But to have two female cats with an overactive thyroid is noteworthy. None of my Male cats have had it so far. Perhaps being female could be a risk factor? I’ve not yet heard of males having thyroid problems! Anyhow I’m going to get this cat tested to see what problems she may have.